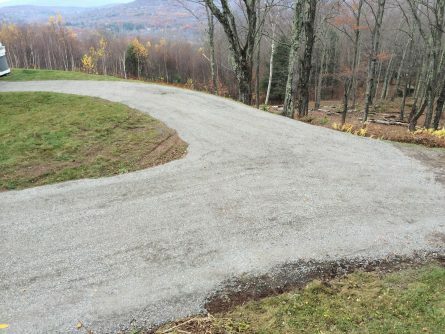 We install new gravel driveways or prep work for blacktop, oil & stone driveways. We will access the driveway to determine if it needs a top coat of material or new base material and top coat. We use screened and crushed materials. We prefer to top dress with limestone crusher run. This material packs well and withstands the element s. We offer maintenance plans. These include crowning, ditching, fixing potholes and gravel patchwork.